Posted on 10/04/2014 by U.N.
Additional images now at Stahlseite. The Wetzlar works were founded by “Röchlingsche Eisen und Stahlwerke” and Buderus in 1920. A new melt shop was erected in 1939. In 1965 Buderus took over and in 2005 the Austrian steel company Böhler Uddeholm acquired the mill. 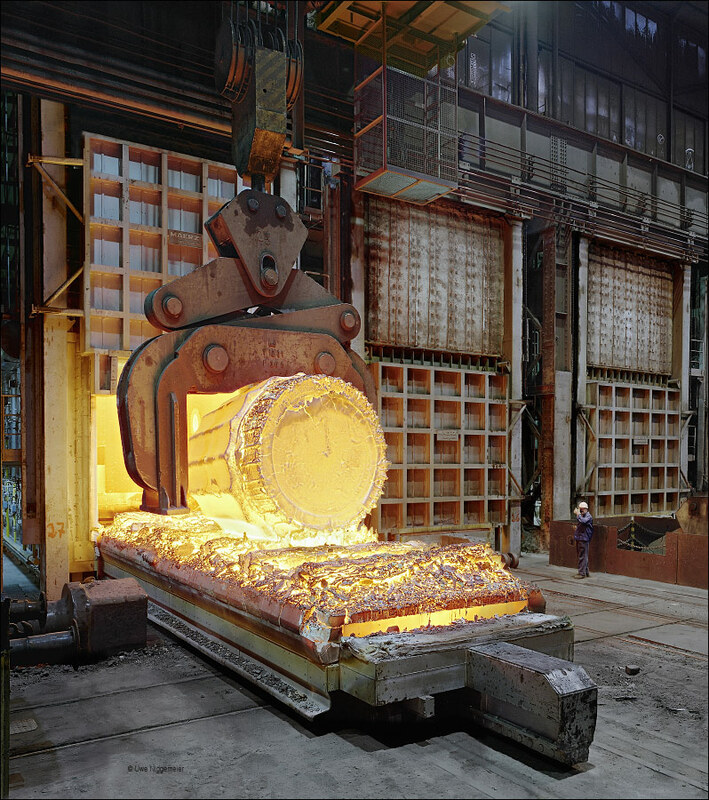 Nowadays Buderus Edelstahl produces about 300000 tons of crude steel in an electric arc furnace. All steel is casted into ingots. The further production line includes a blooming mill, a hot strip rolling mill, three open die forging presses and a closed die forge. This entry was posted in Works and tagged Buderus, forge, Germany, Steel Mill, Wetzlar by U.N.. Bookmark the permalink.